Our Ultimate Floor Liners are affordably priced, cleverly designed to feature the best Limited Lifetime Warranty in the business and follow the exact contours of the floor pan to fit like a glove. 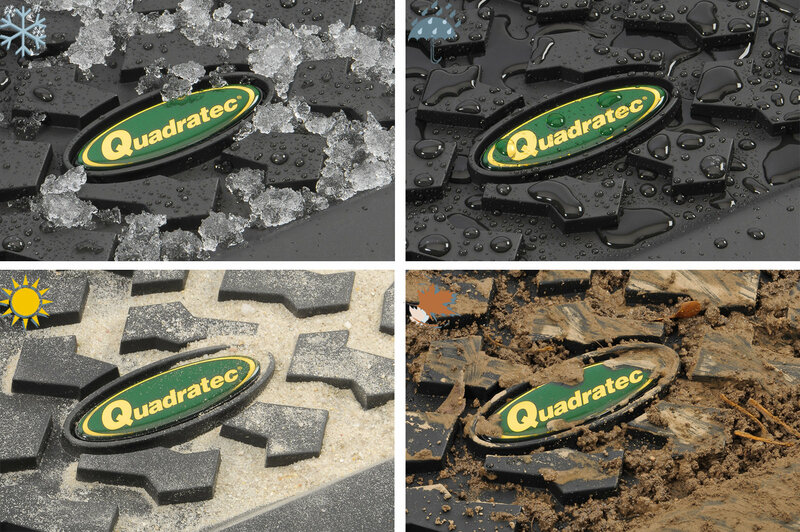 Extra tall sides and 5/16 deep tire tread pattern contain water and debris - keeping your footwear clean and dry. Made from tough thermoplastic rubbers that are both chemical & stain resistant. The cargo liner features 2 tall edges that contain big spills and are easy to clean. The Free Ultimate Sport Bar Grab Handles provide ergonomic assistance to driver and passenger while climbing in and out of the vehicle and look cool. When only the best will do, our Ultimate Sport Bar Grab Handles provide ergonomic assistance to driver and passenger while climbing in and out of the vehicle. Ultimate Sport Bar Grab Handles feature three extra-thick nylon web straps (instead of two) and injection molded black vinyl grip handles. Installs in minutes and securely mounts to all sport bars using three fully adjustable nylon web straps with hook and loop fasteners. Available in black or red. Sold in pairs. Excellent. I really like these a lot. Not what I expected but they do the job.